Display Calibration Search panel. It includes many predefined views. 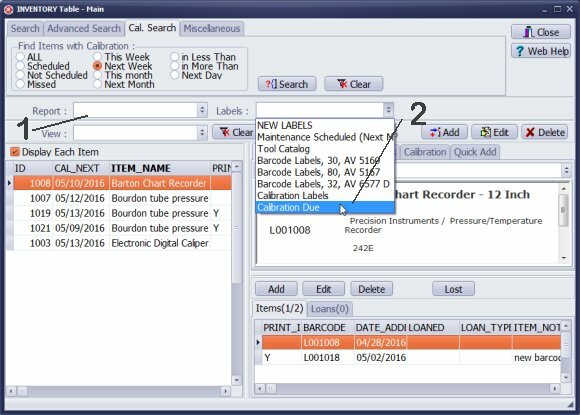 In the Find Items with Calibration section click Next Week, and then click Search. Only gages that have calibration scheduled for the next week will be displayed. 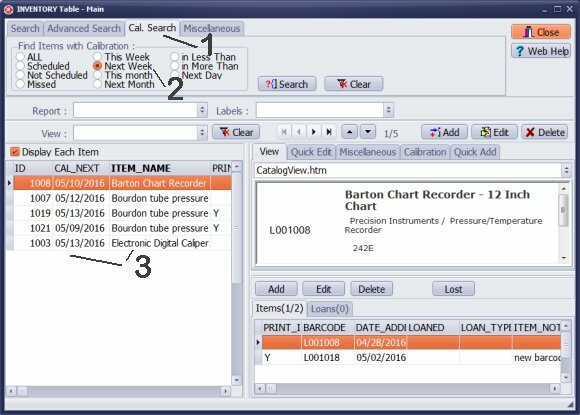 Select predefined or new report to print "calibration items scheduled for the next week" report. 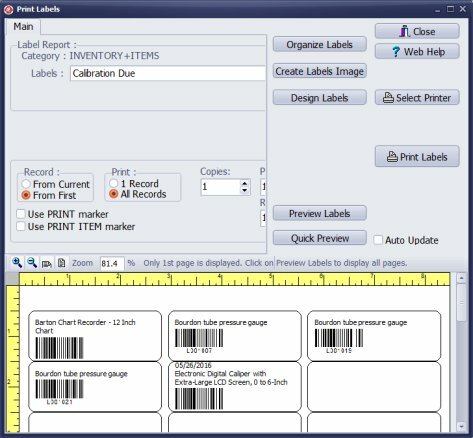 Select predefined or new labels to print "calibration items scheduled for the next week" label report. 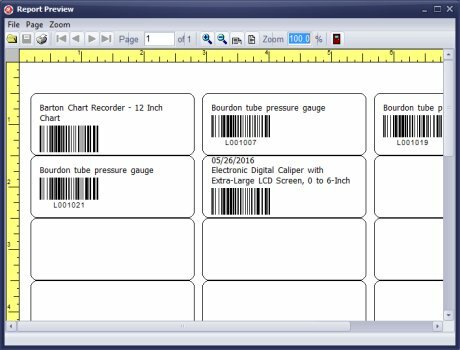 You can define barcodes in the label report. You can scan item in the calibration transaction window (check out, or 1-step calibration). In this sample we selected predefined Calibration Due report. Review label report in the Quick Preview window (only one page displayed). Click the Preview Labels button to review the whole report.